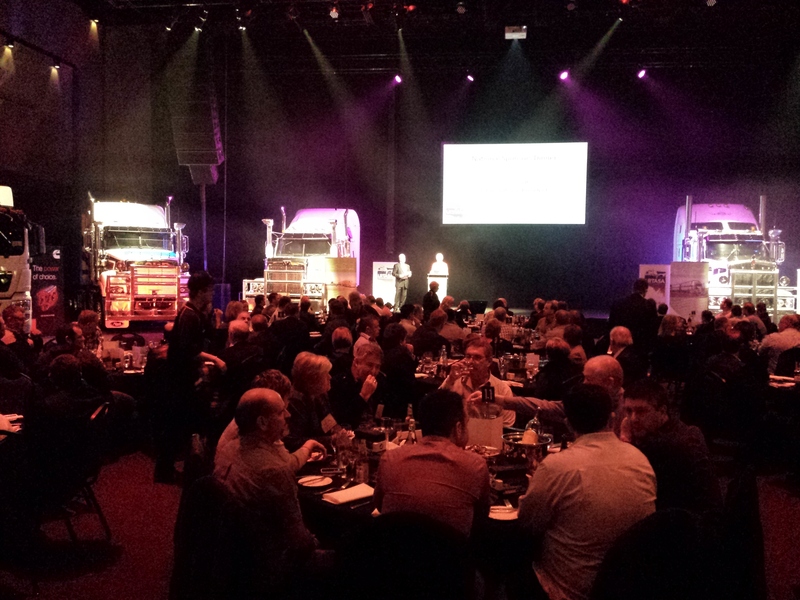 National Sponsors Dinner, Adelaide Entertainment Centre, Friday 13 June. South Australia Transport Minister Stephen Mullighan addresses the conference on Saturday. Federal Assistant Minister for Infrastructure Jamie Briggs addresses the conference on Saturday. Speakers included SA Transport Minister Stephen Mullighan, Federal Assistant Minister for Infrastructure Jamie Briggs, the Hon. Anthony Albanese MP and NTC CEO Paul Retter. The panel session on the Road Safety Remuneration Tribunal brought together a broad cross-section of presenters (Tribunal Member, ARTIO, commercial lawyer, operator) and enabled audience members to debate the impact of the Tribunal’s first Order. The highlight of Friday’s National Sponsors Dinner was the presentation of Life Memberships to Mark Sullivan and David Smith. Moving tributes were given by Ross Fraser and John Beer, while Mr Albanese presented commemorative plaques to each recipient. A lot of planning and support is needed to hold a successful conference. The ALRTA would like to thank all attendees, speakers and of course our hosts at LRTASA (in particular David Smith and Cheryl Howe – who made things happen ‘on the ground’). We also acknowledge the generous support of our national sponsors who donated auction items including two engines (Cummins), a full set of B-Double tyres (Beaurepaires), a driver’s seat (PACCAR) and a Michael Clarke signed cricket bat (BP). We hope to see you at our next National Conference in WA during 2015. This entry was posted in General News, LRTASA. Bookmark the permalink.